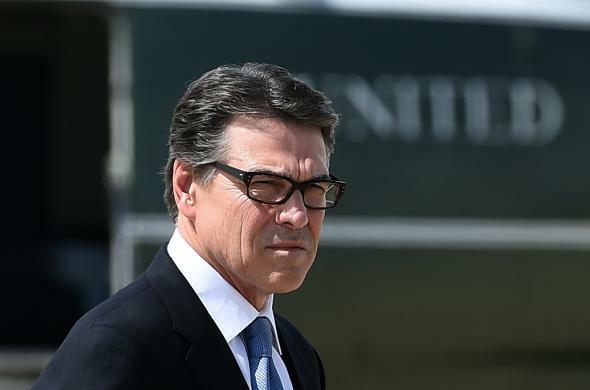 Rick Perry 2016: Can he remake himself on the debate stage that ruined him? Can Rick Perry Overcome His Debate “Oops”? We’ll Find Out in August. Rick Perry won’t suffer from inflated expectations this time around. Rick Perry on Thursday became the 10th Republican to officially join the 2016 presidential race. That figure is somewhat fitting given it also represents the number of White House hopefuls who will make it onstage in two months’ time in Cleveland for the first GOP presidential debate. The debate stage, after all, was where the then-Texas governor’s last presidential campaign died a long, painful, humiliating public death. In the era of you-won’t-believe-what-happened headlines, it is almost impossible to do justice to just how stupefying of a stumble it was in the moment. Perry’s team would later chalk it up to the lingering effects of elective back surgery, but at the time they tried to spin it as a human moment in a stage-managed campaign. Suffice to say, that didn’t work. Perry’s bid, which began late, ended early. After briefly catching the Anyone But Romney (and I mean anyone) wave, he was never able to fully capitalize on it—even before his debate disaster. (Everyone remembers his “oops,” but he had already hurt his cause in previous debates when he called Social Security a Ponzi scheme and told conservatives who opposed his in-state tuition plan for undocumented immigrants that they didn’t “have a heart.”) Less than two months after the “oops” heard ’round the world, he would place a distant and disappointing fifth in the Iowa caucuses—finishing between Newt Gingrich and Michele Bachmann—before failing to earn even 1 percent in New Hampshire. Perry then dropped out of the race before it arrived in South Carolina, where he had been greeted as a Mitt Romney-conquering hero only months before. Perry won’t suffer from inflated expectations this time around. He enters the race polling in the low single digits. Where last time he had to contend with only one establishment favorite, this time around he faces three: Jeb Bush, Marco Rubio, and Scott Walker. He also has plenty of competition for values voters and tea partiers in a crowded field. More difficult than convincing voters to give him a second look will be convincing conservative moneymen to give him a second chance. Even in the Lone Star State, where he served as governor for a decade and a half, he has serious competition from Bush, Ted Cruz, and Rand Paul, all of whom can tap their Texas roots for big-dollar donations that might otherwise have gone Perry’s way. Perry is polling in 10th place in the RealClearPolitics rolling average of national surveys (which includes a Trump-size wild card). He should get a bit of a bump from his official announcement and is likely to hang on to one of the final invites to the first GOP debate, which Fox News will host in August. He’s gone to great lengths to revamp his image since his 2012 flameout by beefing up his policy chops with intensive crash courses from prominent think tanks (and by swapping his cowboy boots for a trendy pair of glasses.) He’s also invested time and energy in the type of on-the-ground retail campaigning that he eschewed the last time around. But for all his mistakes in the last cycle—his slurred speech in New Hampshire, his straight-up anti-gay campaign ad—it was his missteps on the debate stage that defined him last time, and his performance there that will make or break him this time. A small misstep in Cleveland will short-circuit his redemption tour before it fully begins. The flip side of that coin, though, is that a strong performance—or even just a coherent one—might be enough to turn his “oops” into something resembling an opportunity.